Jubilee is a church committed to Experiencing God, Loving Others and Transforming our World. 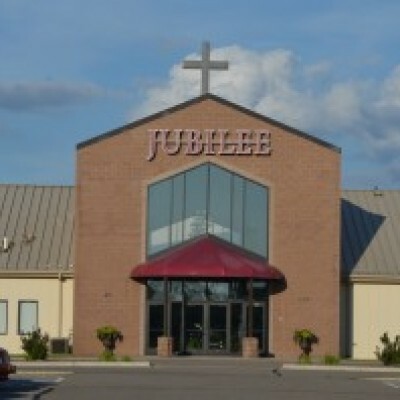 Jubilee Worship Center in St. Cloud, MN (founded by Mark & Becky Johnson) has been in existence for nearly 18 years. We desire for you to experience God in a way that transforms your life. We purpose to create an environment that helps equip people to experience God in their everyday lives. We believe that experiencing God should result in a greater love for others. We can only transform a world we love. We desire to help equip others to have healthy, wholesome relationships in their life at home, in the church, and in the marketplace. Transforming our world encompasses The Great Commission (Matt. 28:18-20; Mark 16:15-20), and should be the fruit of experiencing God and loving others. Only transformed people (Rom. 12:2) can transform their world! Transforming your world (your sphere of influence) is the primary reason you are still on planet earth. At JWC we want to equip people to transform their world – their family, neighborhood, workplace and community. Here are a few things we’ve been up to. 1. We host the annual Midwest Apostolic Prophetic conference each September. 2. We have a network of about 800 pastors in India (Jubilee Apostolic Ministries). We take a team to India each year. 3. We have door-to-door Bible distribution during the summer, and have given out over 3,000 Bibles and prayed with many people. 4. We have served our community by co-hosting family nights with the three area Boys & Girls Clubs and Discovery School (about 75% Somali students). We also help serve at the annual Optimist Family Fun Day. WE ARE COMMITTED TO YOUR ONGOING SPIRITUAL DEVELOPMENT AND DESTINY! We invite you to be our guest at one of our Sunday morning Worship Services. We believe you will find Jubilee to be a friendly, relational church, full of life!